SMASH! 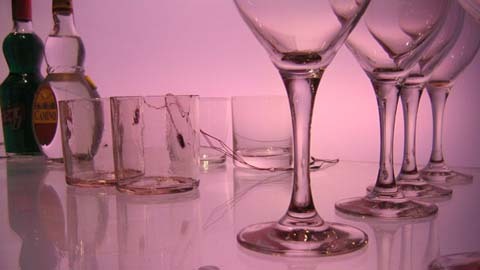 Plastic™, Breakaway Glass Plastic | Smooth-On, Inc. SMASH! 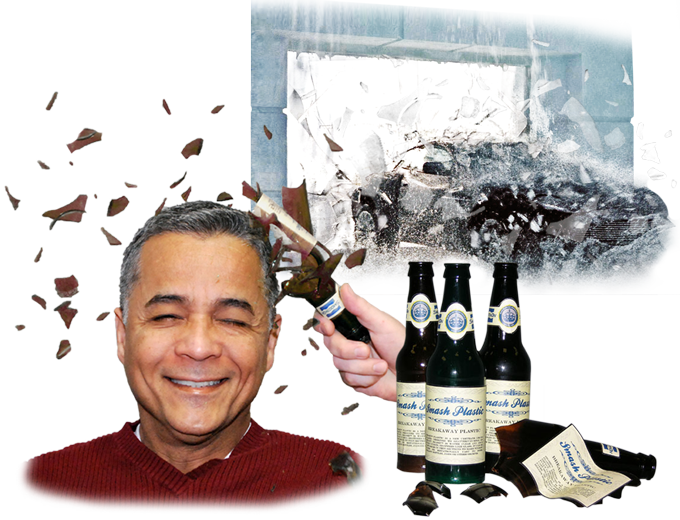 Plastic™ is a liquid plastic designed to shatter/crumble on impact (“breakaway glass”). SMASH! 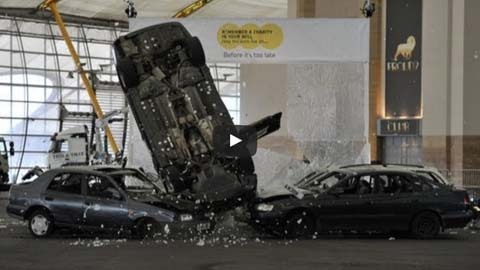 Plastic™ is water clear and, once fully cured, shatters like glass. 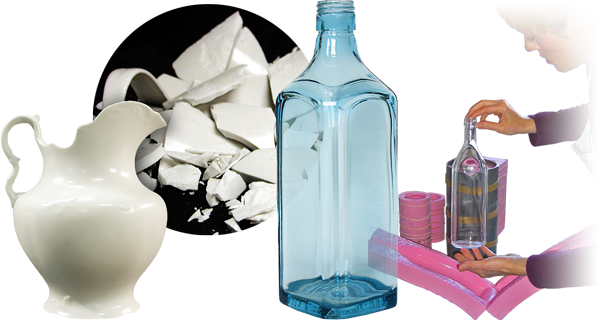 It can be cast solid in thin sections to make window panes or rotationally cast to form hollow bottles, jars or other glass-like objects to be used as breakable props for movie and stage productions. Easy to use and cures at room temperature. SMASH! Plastic™ has no odor, offers a good working time and cured elements are easier to handle. 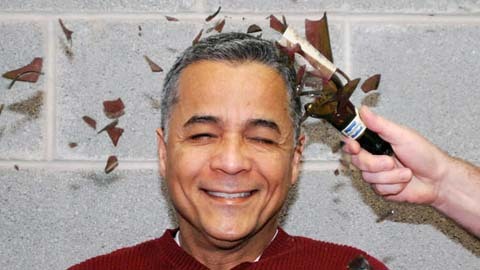 Looks and breaks just like glass and is used to make window panes, bottles & other glass/ice effects. It is easily color tinted or pigmented with SO-Strong™ tints. › SMASH! Plastic™ Breakaway plastic. 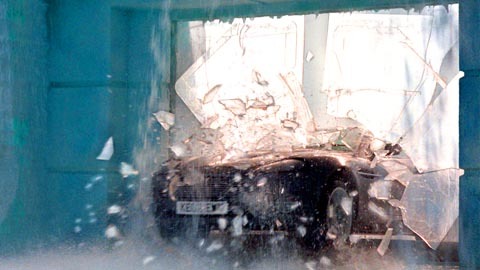 Over 1.5 tons of Rubber Glass was used in “Die Another Day”.